With the full body shots of Mushu released yesterday and the one from last month of Simba(??) 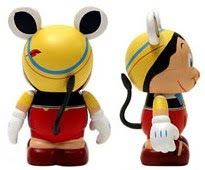 we see that the Tail is a new body feature that will be coming to Vinylmation as part of the Animated 1 set. Back at Trade City 2010 we noticed the tail on Mushu but couldn’t really get a good photo of it. 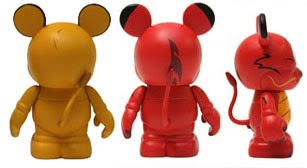 Now we see it in all it’s glory and welcome it as the next addition to the Vinylmation bodies (the first was the Neck in the Ostrich and Giraffe). Update 7:00 PM: Here’s another Vinylmation from the Animated 1 set. We knew he had the donkey ears, and now we know Pinocchio has a tail too! There are a lot of animals in the Disney character kingdom, so I suspect the tail will be seen a lot more in the next year and beyond. What do you think of the tail? what other body part would you like to see added in the future? 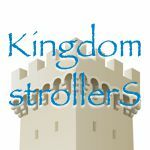 Join the discussion with a comment at our blog.